Suitability: All ages and skill levels. There’s nothing quite like it in all of NZ. With a vision of creating a music school the staff wished they had growing up, Goodtime now impacts thousands of young people every year and provides unique opportunities. Whether you’re young or old, a complete beginner or you have the skills to wow a crowd, we’ve got loads of options to help you on the next step of your musical journey. The best thing you can do is check out our website by clicking here. At our website you can request an info pack and request a FREE TRIAL LESSON. 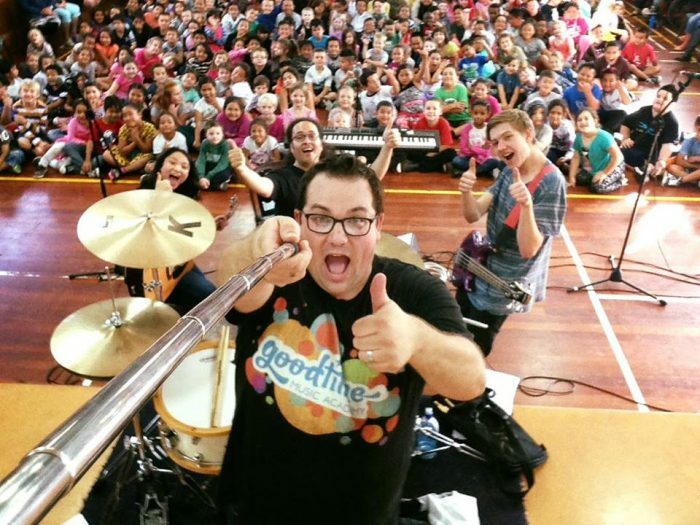 By learning with Goodtime Music Academy you are also supporting the Goodtime Foundation which provides free music tuition and mentoring for students in tough situations from low decile schools. Whether you’re after one of our amazing intro to music programs to see what instrument is right for you, or whether you’re preparing to pursue a university level music programme, our professional tutors will personally tailor you a program to suit your needs.